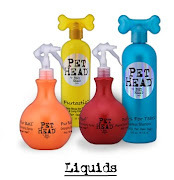 Dog Boutique, Designer Dog Clothing and Accessories for your Dog: Contest Winners! 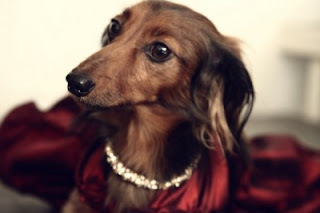 she is ready for the holiday with her romantic burgundy red!" Kilo is my 9 month yorkie who came into my family because of my undying love for animals. Kilo is the least bit timid and loves everyones attentions. She is a big show off where ever she goes. Kilo enjoys the out doors and running around. She loves learinng new tricks and cuddling with you. She will turn anything into a toy. Kilos favorite thing to do is go to the motocross track and watch her family race! Kilo is dressed as a scarecrow! I know the scariest scarecrow you have ever seen! 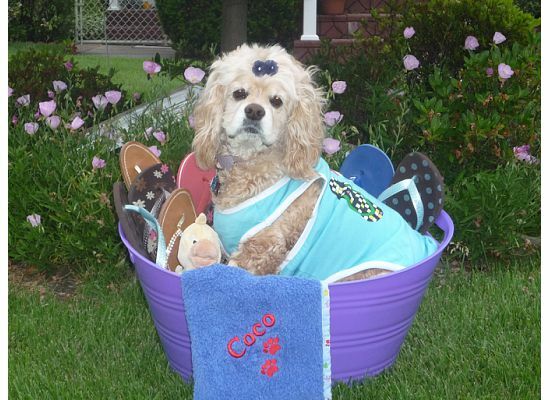 Coco Chanel Bella is a 5 year old American Cocker Spaniel who loves to play ball, play tug of war, go for walks and eat lots of treats! She also loves to play with her two pug boyfriends, Buddha and Micky, that live next door to her. She loves to go shopping at the pet stores too. She runs right to the door of the store when we get out of the car! She loves to get presents! She is a very fun loving happy dog! and always has love to give. present. 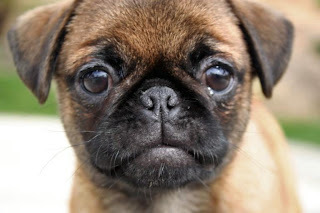 I have two older brothers Otis and Elmer who are also Pugs. Sammi loves to sleep, play, go shopping, drive with her head out the window, get her belly rubbed and eat. She's a very active little pup who goes to doggy camp 5 days a week and plays with her furry friends both big and small. She is not afraid of any dog. Sometimes I think she sees herself as a 80lb dog instead of the 7lb Mal/shi she is. Yoda is a one year old 4.5lb Chihuahua from Michigan! He loves to go on long walks,play fetch and go on motorcycle rides! Rocco is a smart Chihuahau who was originally bred to be a show dog as both his parents were show dog winners. He loves to play ball and especially loves massages. Rocco is fierce on the outside with strangers but loving and affectionate on the inside and loves nothing more than to cuddle with those he loves best! Lily is 10, and Alex is 13. Lily and Alex were adopted together at the ages of 4 and 7. They love to snuggle together under their favorite blankets on a chilly day or sun themselves sitting right beside each other in the backyard when it's warm. They are so in love with each other...if fact we say they are happily married. I'm Nellie the chihuahua and I'm 7 mos old. I live in Woodland Hills, California with my mom and dad. I will only get to be 2 lbs full-grown. I have a brother, Willie the chihuahua, and he weighs 3 lbs. They say I make him look HUGE! we had over 150 entries thank you everyone who entered! I am an Italian Greyhound, the toy breed, not the big one you might be thinking of. Although I am only 8 pounds I have lots of energy so that I can run like the wind. Whether chasing my favorite squeaky squirrel toy or running full speed like a thoroughbred horse at the dog park, my canine goal is to play and please. My favorite things are: sleeping in the big bed, toilet paper, socks, car rides, lap time, attention and running at the dog park. I don't like cold weather though. 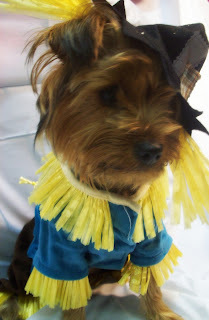 Millie and Katie are Yorkshire Terriers who LOVE dressing up! 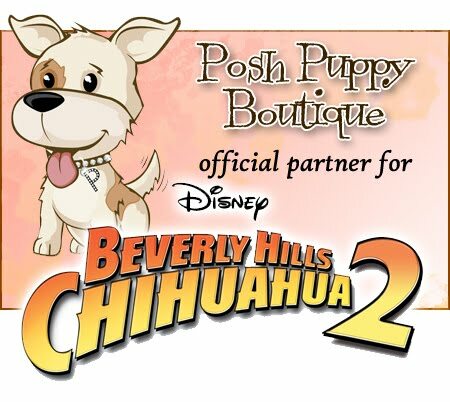 I don't even know how many outfits they have, but MANY of them have come from Posh Puppy of course! Millie will be 3 years old next month and Katie is 1. She is now six months old, and still only weighs too pounds. Every Doggy dress she has (a lot) is still too big! So I alter them to fit her when I can! Pixie enjoys playing with our kitten, and my sons house rabbit plays tag with her! Unfortunately it's so cold where we live, so she is an indoors pup only.